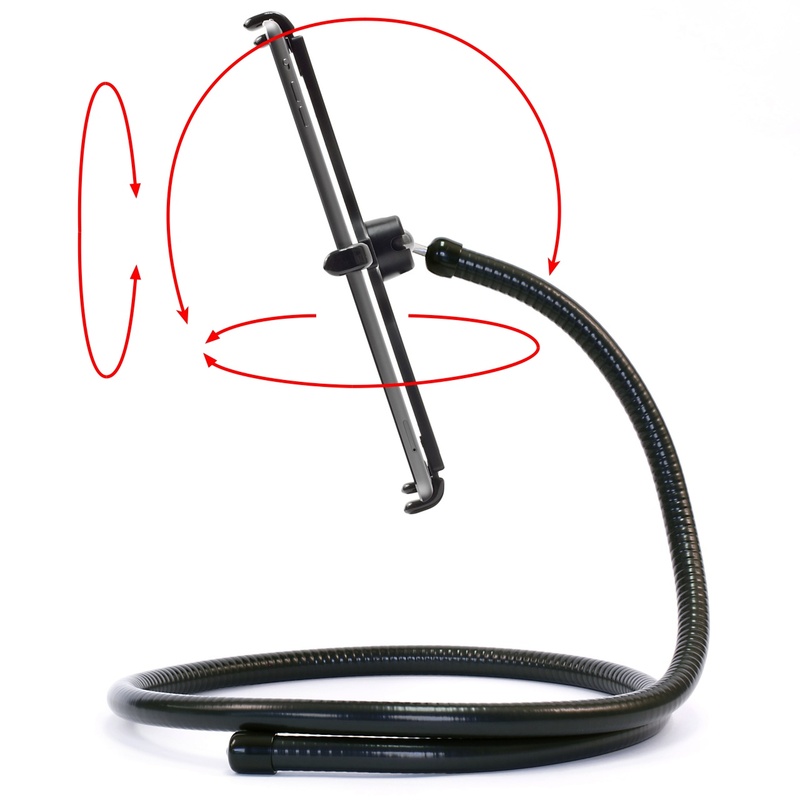 The long, snake like, flexible, gooseneck coil stand can be manipulated into any shape you imagine to hold your iPad. The PED4 Coil IPA10 is Made in USA from solid and flexible steel. 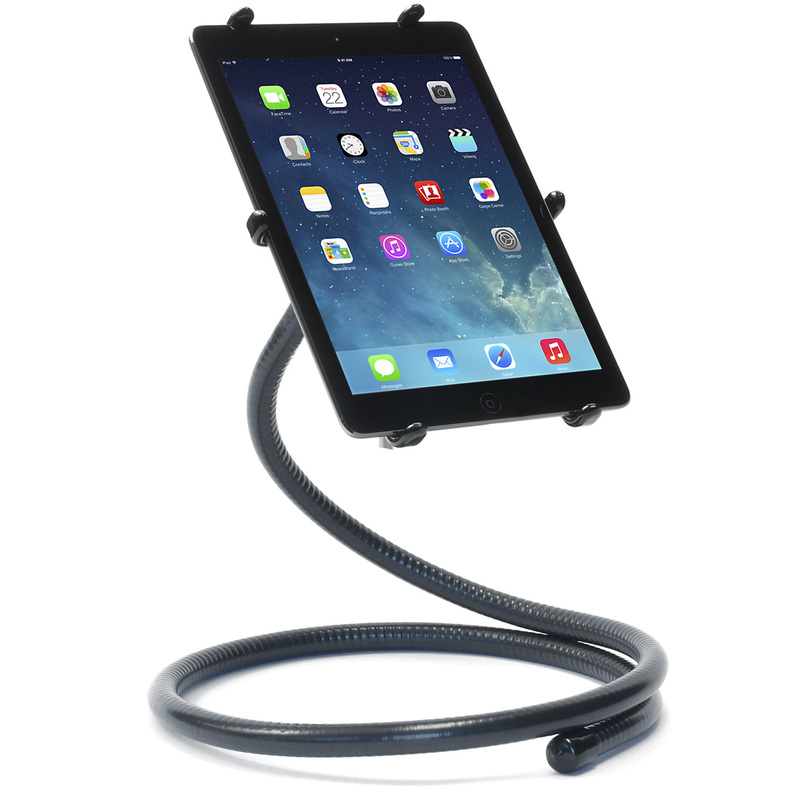 The PED4 Coil IPA10 iPad Air stand can be mounted anywhere and everywhere you can imagine. 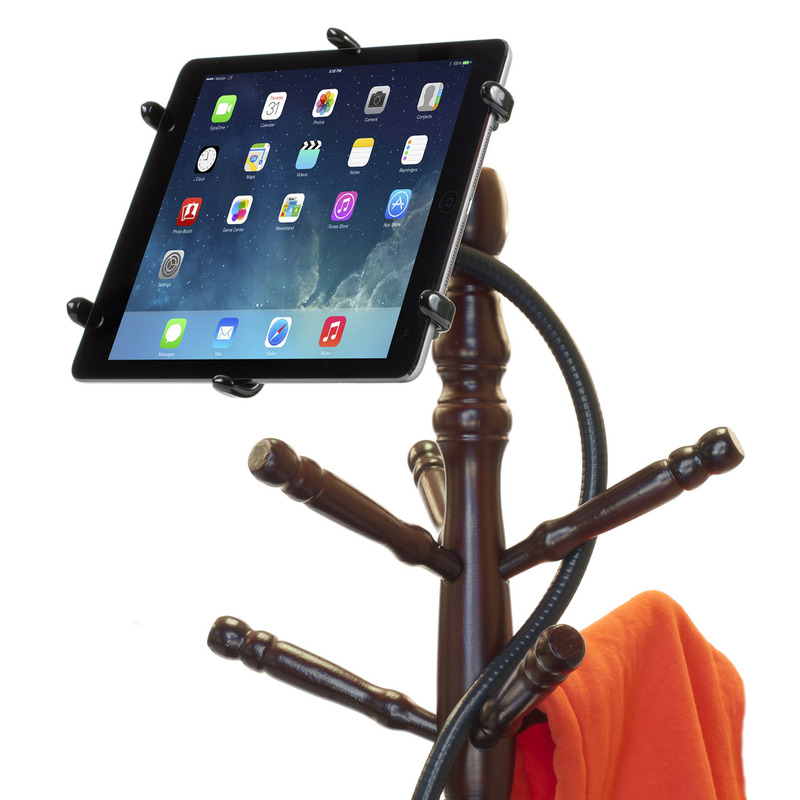 The PED4 Coil IPA10 iPad stand has user configurable fingers that creates a snap like fit to hold the iPad. These fingers allow the mount to be used with or without a case efficiently, while securely holding the iPad as your hand would. Once the holder is configured to your desired fit, there are no special procedures needed, the iPad installation and removal is instantaneous. All of the controls, ports and camera are fully accessible at all times. Designed for iPad Pro 10.5 - 9.7", iPad Air 2 & iPad Air with or without a case, skin, bumper or protective cover. The setup and use of the PED4 Coil IPA10 with any automobile or similar setups will have varying results. This is the fifth product I've bought from Thought Out Co. for my iPhones and iPads. It's easy to set up and use and can be moved into any position I want. The engineering and construction is "top-notch" using steel, so it's well made in the USA, not like the junk you get from overseas. Thought Out Co. is the way to go for this type of product. My children bought me an IPad holder which was designed specifically with spin cycles in mind. The only problem was that no matter how it was mounted it made most of the handle bars inaccessible. Research led us to this product, and it was the perfect solution! It is also sleek and compact, so it does not occupy extra space. This is a simple, well thought out product. Thanks! This thing is perfect for watching my ipad while lying in bed or lying on the couch. I make a "u" bend and then stuff the "u" part under the couch cution or matress. Then there's enough coil left over to position the ipad anywhere you need. I gave it 4 stars because the cost is a little high.